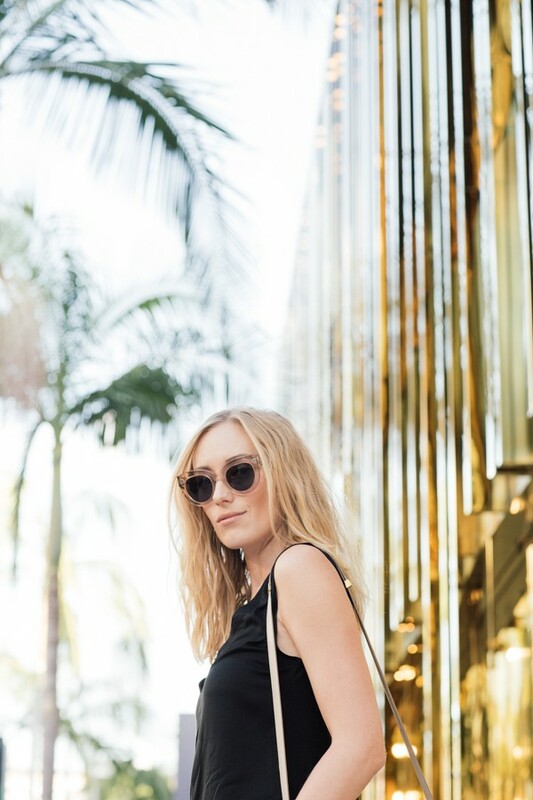 Always feeling fancy when walking around in Beverly Hills. So many boutiques that are teasing you to come in and spend all your money. This time, the money stayed in my wallet. THANK GOD. You know I am obsessed with LNA and they have been killing it with their matching sets. Love this casual set that was dressed up with some wedges and my new bag baby purchased while I was in Rome. 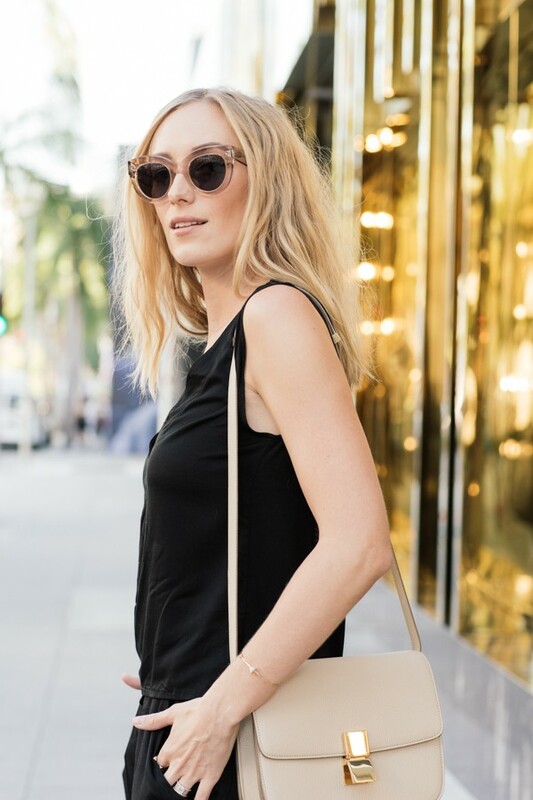 I love how a great accessory can easily elevate such a classic and simple look. Happy Friday my friends! Natali - Looking like a million dollar baby in this minimalistic and super stylish outfit! caroline - Such a great look and it works so well with the gold in the background! Zmode - Amazing outfit and photos! Love it so much! Thoi Trang Va Toi - When it comes to fashion, i love the simplicity. And i love this whole outfit, especially the top and bag. They’re fashionable and modern. I love the way you mix and match the clothes with accessories. Madison - I’m obsessed with those glasses!! Love the look!